The primary task of a spark plug is to create a specific electric discharge within a combustion chamber. In order to ignite the fuel-air mixture inside a cylinder, the amount of heat delivered to the load must be sufficiently large to initiate the combustion process in a volume large enough for the flame to begin developing spontaneously. 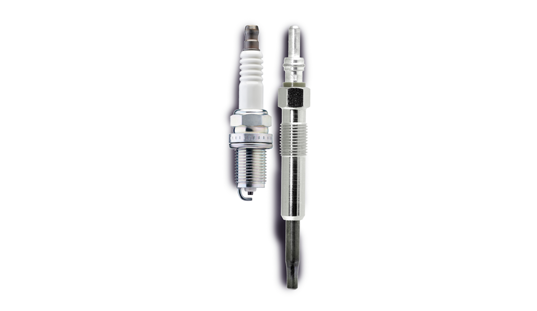 Parameters of a spark plug are particularly important in winter, when an engine has to do extra work in order to maintain proper operating temperature. Glow plugs is an equipment used in diesel engines to facilitate a start-up, especially at low temperatures, and to stabilize the idling speed of an engine. Using the glow plug is particularly important in an engine with indirect injection, where there is greater heat loss in the pre-chamber, the controller of glow plugs maintains their work for some time after an engine is started. Glow plugs are subject to a special operation during the winter period, so it is important to use products of proven quality. Both spark and glow plugs of Fast brand are the highest quality products that operate in all weather conditions.